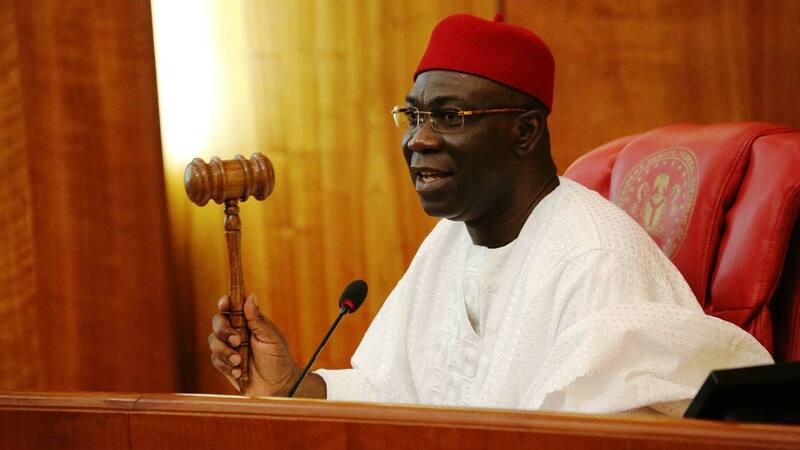 The Deputy Senate President, Ike Ekweremadu, has accused the candidate of the All Progressives Congress (APC) in Enugu West Senatorial District and Special Assistant to the President on Justice Reform, Mrs. Juliet Ibekaku-Nwagwu, of sabotaging Federal Government’s effort to complete the Oji-Achi-Mmaku-Awgu federal road project in Enugu State. Ekweremadu said contrary to Ibekaku-Nwagwu’s claims, the Federal Ministry of Works, acting on the outcomes of several oversight visits to the project site by the National Assembly Committees on Works, terminated the initial contract awarded to Master Holdings, for evident non-performance. “The lady in question, our sister, comfortably married to an Airforce officer from Imo State, suddenly came up with the idea of running for a Senate seat, which should be okay. Unfortunately, she doesn’t know what happens in Enugu West or anything about the projects. “Although Section B (Awgu-Akeze) of the road in question passes through my place, the first major project I attracted when I became deputy senate president in 2007 was the Section A (Oji-Achi-Mmaku-Awgu road). It was awarded to a company called Master Holdings, promoted by Anayo Nwandu. The job started, but wasn’t making progress. “When the Ministry of Works advertised the Section B, he also applied. In fact, he moved his machines and started work ahead of the application. He didn’t get it. It was given to a company promoted by Isaac Chuks, who is from my place. “In fact, I was his lawyer for many years. Nevertheless, because I knew the challenges around that road, I went to him and appealed that he should decline the offer. The Ministry of Works then awarded it to SETRACO, which completed that work in two years. Meanwhile, Ibekaku-Nwagwu has denied the allegation. Ibekaku-Nwagwu, who was until recently, Special Assistant to the President on Justice Sector Reform, said Ekweremadu was scared of his shadow. She said the Minister of Power, Works and Housing, Babtunde Fashola, was in the best position to explain what happened about the road project. She accused the deputy Senate president of influencing the termination of the contract and trying to foist another contractor on the government, after inflating the cost of the project. “I’m shocked if he mentioned my name in such a project. What we are telling him is that, he, Ekweremadu, sitting there, representing the South East, did not diligently ensure that the project was awarded in a manner that showed transparency. He was instrumental to terminating the contract; he went back to the federal ministry and asked them to give it to another contractor; he hijacked it and they tripled the cost of the contract. From nowhere, you are giving the federal government N12 or N13 billion from the N5 billion the contract was awarded to the original contractor. The question you should ask him is how was he involved in the termination of that contract? “And that is what we as Enugu West people are asking him,” she said. As adviser then, on the justice sector, she added that contract had nothing to do with her job schedule in the Presidency.